This article is written by Ankush Unni from the Class of 2023, NALSAR. The Sabarimala Issue is a perfect example of a conflict between the sovereign and the sacred in the Indian Context. This issue stems from the traditional practice of prohibiting women with reproductive capabilities from entering the Sabarimala temple. On September 28th 2018, a Constitutional bench of the Supreme Court opened the gates of the Sabarimala temple to all women devotees. This was followed by a series of protests which made national news. But what is Sabarimala? What is the reason behind this tradition? How did the Supreme Court arrive at this conclusion? Sabarimala is a Hindu temple that is located in the Pathanamthitta district in Kerala. It is considered to be one of the holiest locations in Hinduism. The temple is considered to be the abode of the celibate form of Swami Ayyappa (or Ayyappan), who is believed to be the son of Shiva and Mohini (a female avatar of Vishnu). The temple is located on a hilltop at an altitude of 480m. In order to enter the temple and worship the deity, devotees are expected to follow a 41-day vrutam (austerity period) before climbing the hill. They have to wear a special mala (a chain made of a special type of beads) and must abstain from non-vegetarian food, any form of intoxication, profanity, rage, any form of sexual activity or shaving. This is because the devotees are supposed to live the life similar to that of the deity in order to be able to worship the deity. 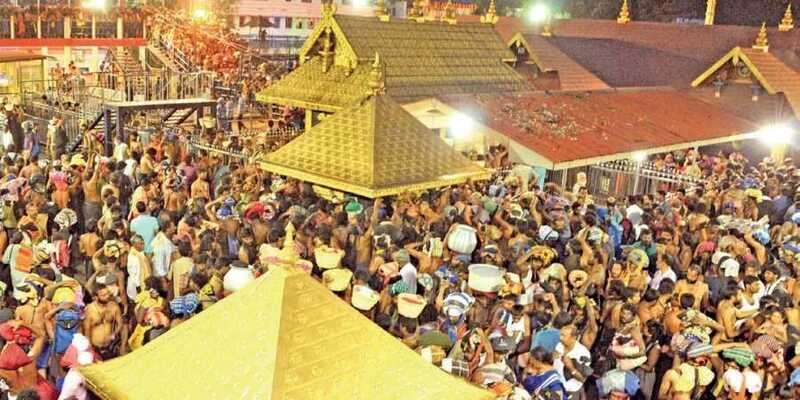 The reason women of reproductive age are not allowed inside Sabarimala is because the presiding deity, Swamy Ayyappa (or Ayyappan), is a Naishtika Brahmachari, or eternal celibate being. Therefore, he cannot touch or allow women who are capable of reproduction into his abode since that would disturb his celibacy. However, it is believed that this tradition would not be forever. It is believed that Maalikapurathamma (a goddess worshipped in a shrine on the way to Sabarimala) asked Ayyappan to marry her, but he declined because he was destined to go to the forest and live the life of a sage. He said he would marry her when no first time devotee (or kanni Ayyappan) comes to Sabarimala. When he does marry her, it is believed that women would be allowed into the temple. So far, this has not happened. The Travancore Devaswom Board is said to have the legal authority to manage the temple’s administration. They banned the entry of women between the ages of 10 to 50 years from entering the Sabarimala temple. In 1991, the ban was challenged in the Kerala High Court in the case of S.Mahendran v. The Secretary, Travancore. The Court upheld the ban and ruled that it was constitutional and justified. In 2006, the Young Lawyers Association filed a PIL before the Supreme Court challenging this exclusionary custom. They made a case that the custom violates the right to equality under Article 14 and the freedom of worship under Article 25 of the women worshippers. This matter was referred to a three-judge Bench on 7th March 2008 and it came up form hearing only seven years later on 11th January, 2016. On 20th February 2017, the Court expressed its inclination to refer the case to a Constitutional Bench. Finally, on 28th September 2018, the Supreme Court overturned this ban and declared that the selective ban on women was unconstitutional. 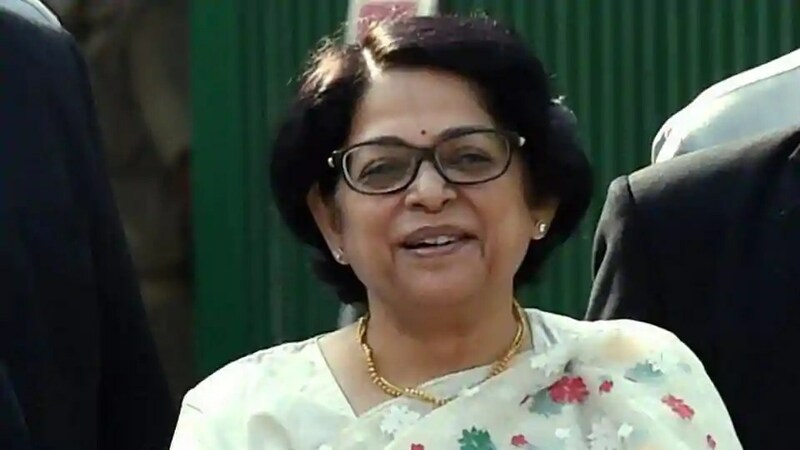 Justice Indu Malhotra was the sole dissenting judge in the Supreme Court. The Travancore Dewaswom Board heavily relied on Article 26 of the Constitution, which guarantees a religious denomination the right to manage its own internal religious affairs. The custom is also protected by Section 3(b) of the Kerala Hindu Places of Public Worship (Authorization of Entry) Rules, 1956, which allows the exclusion of women from public places of worship, if the exclusion is based on custom. In the Supreme Court, the majority ruled that the devotees of Swami Ayyappa do not form a religious denomination and thus are not protected by Article 26 for excluding women between the ages of 10 and 50 years. The Court also held that the exclusion of women from the temple is not an essential religious practice. Therefore, the ban that prohibited women within the age group of 10-50 years was struck down and was declared unconstitutional. In conclusion, the majority of the Constitutional Bench relied on a three-condition test to determine whether the devotees of Sabarimala constituted a religious denomination under Article 26. This question was of utmost importance since the Travancore Devaswom Board had relied heavily on the protection of Article 26 in order to carry out this practice. Had they been held as a religious denomination, the decision would have turned the other way. This decision is important because it has declared a tradition that has been going on for centuries and would strike at the heart of the beliefs and values of both the deity and the devotees. Thanks. Personally, I believe the fact that Indu Malhotra was the only dissenting judge, and that no true woman devotee has tried to break the tradition, disproves the naive assumption that the ban on woman of a certain age entering the temple is patriarchal in nature, or even related at all to gender equality. The media is definitely not giving the devotees a fair chance of explaining themselves, and conveniently ignoring the fact that a large number of women-only temples exist as well.